The British Gazette » The European Union: Setting achievable goals. 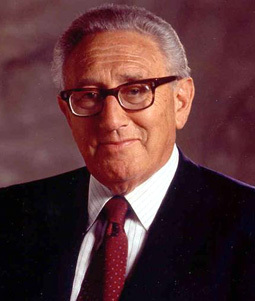 The above image is of Doctor Henry Kissinger. A man responsible for many of our woes. Firstly, apologies for absence – due to pressure of work. Warning: This article is likely to raise your blood pressure so have your tablets to hand! The British Gazette supports absolutely the principal that lawful government must be restored ASAP to the United Kingdom of Great Britain and Northern Ireland. We reiterate that the British Constitution has been violated by its membership of the never to sufficiently damned abomination that is the European Union. How? Simple really. Our constitution states “that no foreign prince potentate or power shall precedence in this land.” It also is emphatic requiring any law to receive the consent of parliament. Furthermore, the Queen took a solemn oath at her coronation on 2nd June 1953 to govern us according to our laws and customs. The UK’s membership drives a coach and horses through all this. Of that there is no doubt whatsoever. So, how do we get out of this mess? Easier said than done. Vote UKIP at the forthcoming General Election many will say. You might as well buy a lottery ticket. You never know, your six numbers might get you the jackpot. You have a better chance of winning the lottery than seeing UKIP form a majority government and repeal the European Communities Act of 1972. There is however another way. That is to address the issue of the European Union directly. Let us cast our minds back to the 1960s and the 1970. Remember the French Non! Why? Because they foresaw that UK membership of the EC would set in train a new dynamic and slow the process of European integration. Now cast your minds forward again to the present debate about Turkish admission into the EU. What “Great Power” is highly supportive of Turkey becoming a member of the EU? Answer: the USA. Are these two events linked? Yes. It is the policy of the US State Dept. (regardless of who sits in the White House) that all countries (within reason) wanting to join the EU should. This includes Switzerland, Norway, the Ukraine, Belarus, Serbia, Montenegro, Bosnia-Herzegovina, Macedonia and even Albania. Why? Because the State Dept. regard this to be in the interests of the USA. Why? Because they do not want an effective European super-state. In the 1960’s professional diplomats and foreign policy experts in the USA saw the direction in which the European Community was travelling – towards an ultimate federal union. This was a development they did not want to see. Why? Just think of it. Suppose the French Non had been it. That Britain, Denmark and Ireland abandoned forever the idea of joining the EC. Suppose that all the other countries had eschewed the notion also. What would have happened? Clearly what has happened but faster and deeper. The original six founding members all but one – France – part of the NATO military structure would by now be an effective European federal state. Not for nothing was the late Dr. Otto Von Habsburg-Lothringen such an ardent supporter of this notion for the original six members covered an area remarkably similar to the Holy Roman Empire of his Imperial predecessors. What then would the US position and influence be in NATO at such a point? Answer: severely reduced. What the USA has sought to do in Europe is what we Brits did in India. Divide and rule. India when the British arrived first was a divided empire, Hindu against Sikh, Muslim against Hindu, Sikh against Muslim and so on. These divisions continue in the Asian sub-continent to this day. 1. The European Union. This should be structured as the arch Euro-federalists desire. That is to say, membership of the Euro is mandatory. That the necessary powers of establishing an economic government of the EU are established. This is absolutely vital if the Euro is to survive as a currency. The EU may be able to bail out Greece but the economies of Portugal, Ireland and Spain – the so-called “PIGs” – are simply too large. 2. The European Community. This should be all those member states not choosing to or are unable to join or continue to be members of the Eurozone. Apart from not being in the Eurozone the fundamental difference is that members of the European Community will be free to implement EU Directives if they wish but also free not to implement EU Directives. That should a member of the European Community wish to implement an EU directive into its own law it would have to enact legislation through its own established constitutional processes. Furthermore, all existing EU Directives extant in the members of the European Community will henceforth be able to be the subject of repeal or amendment of these national legislatures. This does not mean that upon joining the European Community all EU Directives will have to be repealed or amended. It is that they will be able to be repealed and or amended. So far as participation in the EU Decision making process, then clearly members of the European Community would not participate as they would not be subject to the decisions. What would such a reform mean. Where would it lead? 1. It would mean that UK Law takes precedence of EU Law, thus restoring lawful government in the UK. 2. It would lead to a rapid construction of a later day Holy Roman Empire in Central Europe but with the addition of democracy. We would anticipate that those countries comprising the European Union would be the original founding members of: Belgium, France, Germany, Italy, Luxembourg & the Netherlands plus, Austria and possibly Slovenia. This would in fact more or less re-establish the Empire of Charlemagne. 3. It would set up a European Community which would be “Europe a la carte” – take it or leave it. If individual members of the EC want to adopt EU measures they can. If not, no problem. The EC would rapidly develop into something along the lines of the Commonwealth. Why is such an outcome desirable? 1. It restores lawful government to the UK. 2. It saves the Eurozone from collapse which would damage us – even if we were to leave the EU today. 3. It allows those European nations to do want they want to do. If Austria, Belgium, France, Germany, Italy, Luxembourg & the Netherlands want to form a federal union then they should be allowed to do so. Why should the Euro-Federalists adopt this strategy? 1. It is achievable. One of the most basic things about running a successful business is to set goals and targets that are achievable. Setting impossible goals such as a pan European government for all the current members of the EU won’t work. Well…….we missed you Peter but this was so well worth waiting for. I truly believe that this is the basis of THE ideal way forward We must restore power to the UK government and bring law making back to our shores.I am sure such a proposal would be widely welcomed in the UK so how do we move it forward?